Whenever you need to hire a service professional, you always ask friends for recommendations. But sometimes those friends have it worked with the type of company you need to hire. That’s when you turn to online reviews. 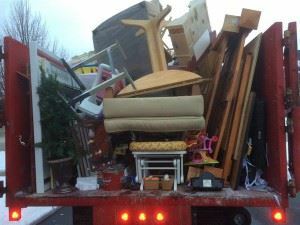 If you’re looking to hire professional junk hauling service, then you can see by the reviews for Junk King Salt Lake City that this is one company you definitely want to work with. Junk King likes to spring into action whenever they arrive at a location. The first thing they’ll do is assess all the things you want to get rid of. That will allow them to provide you with an estimate for the work. That estimate will be based upon how tightly the pack up the truck with all your stuff. One fee covers everything and that’s a very affordable fee. Junk King is happy to take care of long-distance customers. As long as you know what you need to get hauled away, they’ll make it happen. Whatever you have around your house that you want to get rid of, turn it over to Junk King Salt Lake City today. This entry was posted in Salt Lake City Junk Removal and tagged junk king, junk removal, reviews on September 26, 2017 by Junk King. Last updated September 26, 2017 .